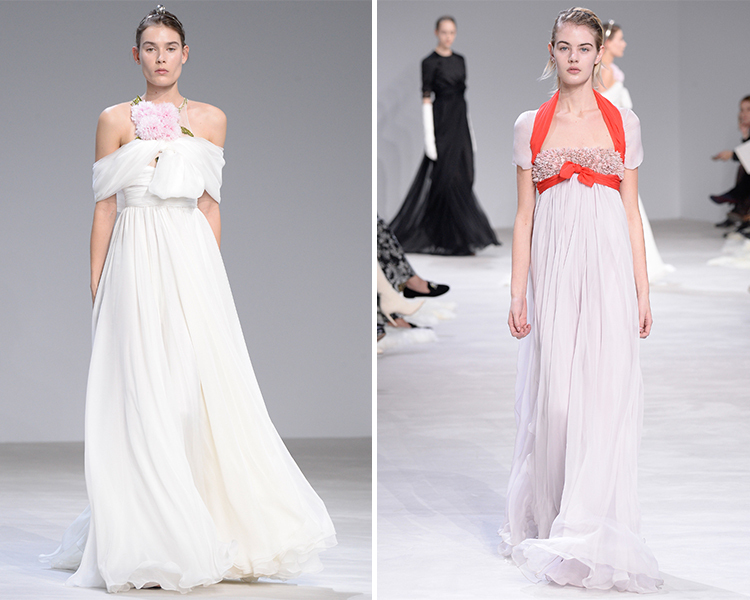 Today I'm talking about two of my favorite couture designers, Giambattista Valli and Ulyana Sergeenko, and their spring 2016 couture collections. Both Valli and Sergeenko have a penchant for the dramatic and over-the-top, which I of course adore. 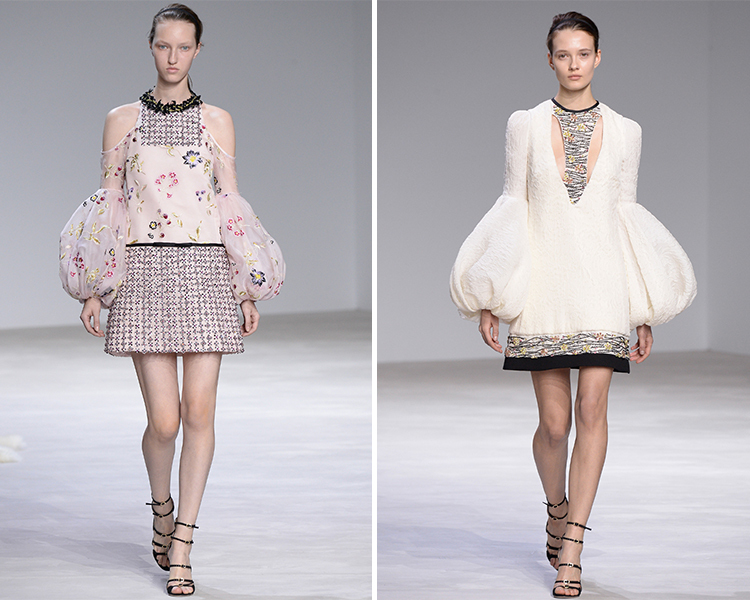 Pastels and flowers figured into these collections, but not in a predictable, "Florals for spring? Groundbreaking" kind of way. 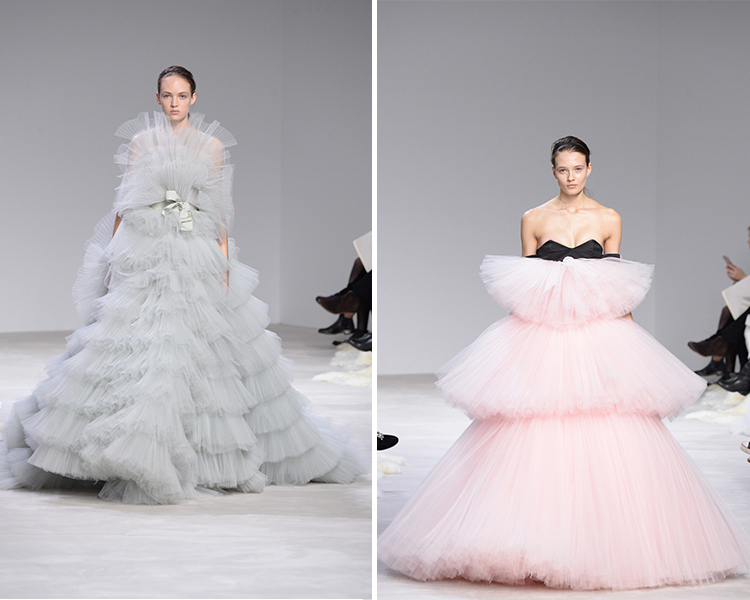 For Giambattista Valli, it has become clear throughout the last few seasons that there is simply no such thing as "too much tulle". 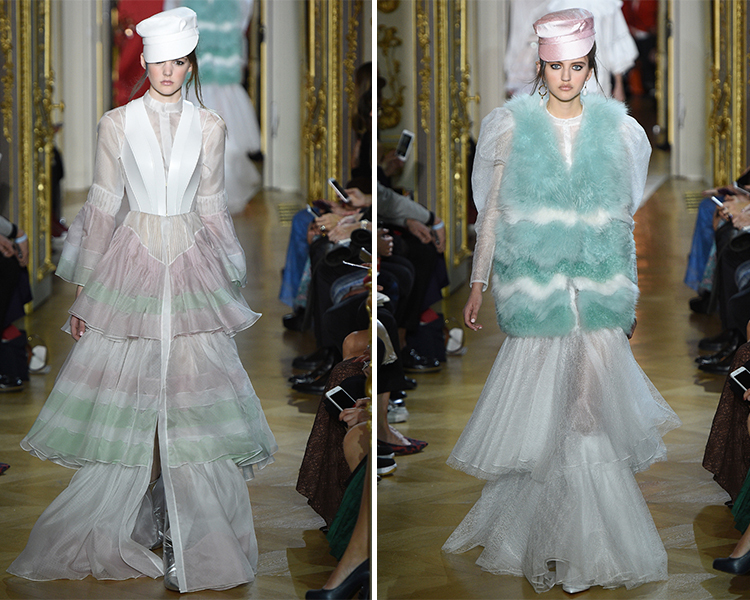 His finale dresses have become known for their hundreds of layers and fabrics, sugary sweet concoctions made of ruffles. They are perfect for avoiding weird men who are trying to dance with you, because even if you wanted to dance with them they couldn't come within 10 feet of you because your skirt is full enough to fill a small apartment. Just imagine trying to squeeze through a doorframe in one of those babies. And don't even try to get into a car! But as much as Valli is known for taking exaggeration of figure and form to the limits, he's also become one of the go-to designers for daytime couture looks. If the finale dresses are designed for the Hollywood set, then the first half of the collection appeals to actual couture buyers who are looking to add a gorgeous frock to their wardrobes. Valli has always had a bit of a mod style, preferring simple minidress shapes and allowing the embroidery and beading to do the creative work. 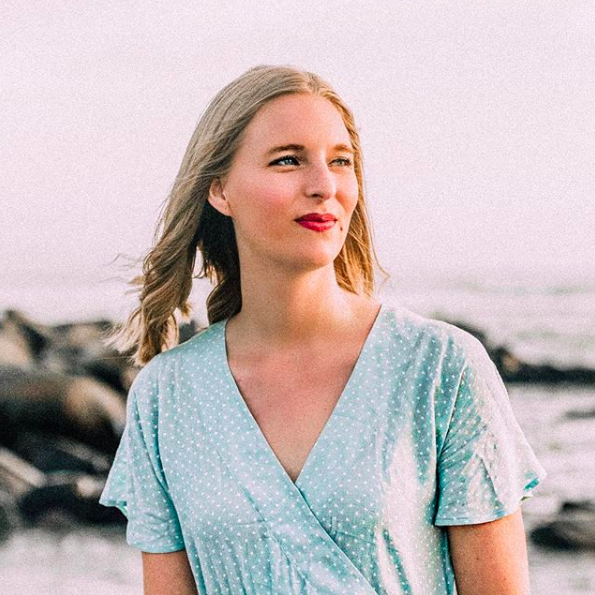 A duo of balloon-sleeved minidresses read like modern interpretations of Renaissance style, and I'm sure we will see this style of sleeve trickle down into more affordable items (here's hoping, at least!) One standout look was the black cape minidress with intricate blue and yellow beaded flowers (here's a closeup to better appreciate the craftsmanship). The cape appears to be the trend at couture (Chanel featured many of them too) and I think this dress in particular is a gorgeous combination of trendiness and timelessness. Ulyana Sergeenko is one of the most exciting couturiers out there because Sergeenko herself is a couture buyer. She's both a creator and a consumer, and because of this she understands what the couture customer is looking for. Also, she knows how to have fun with fashion. 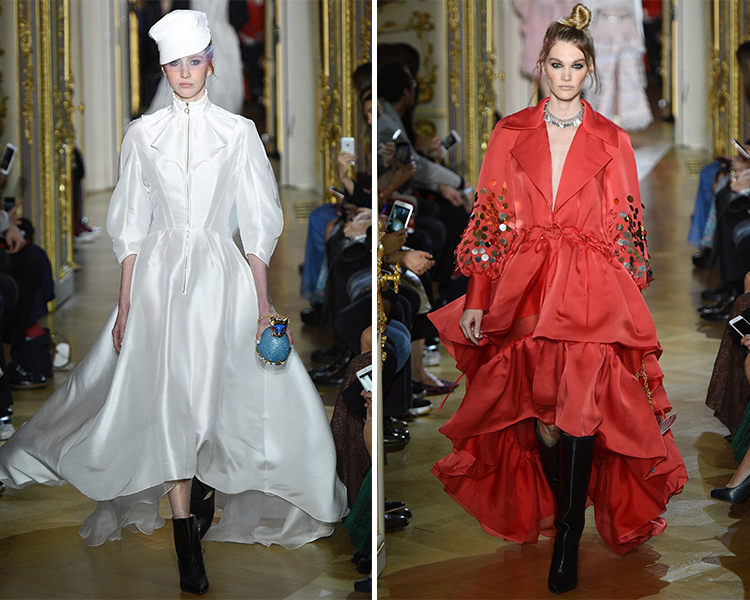 For Spring 2016 couture, Sergeenko was inspired by the 1980s as well as the 1880s, and you can see the Russian Imperialism-meets-Boy George influences here, with Victorian corsets done in patent leather and models pairing gownlike coats with punk hats. For me, it was the color palette that was most eye-catching. I love a good pastel, but I love how the soft mints and lilacs were interrupted with bright red and bold black every here and there. 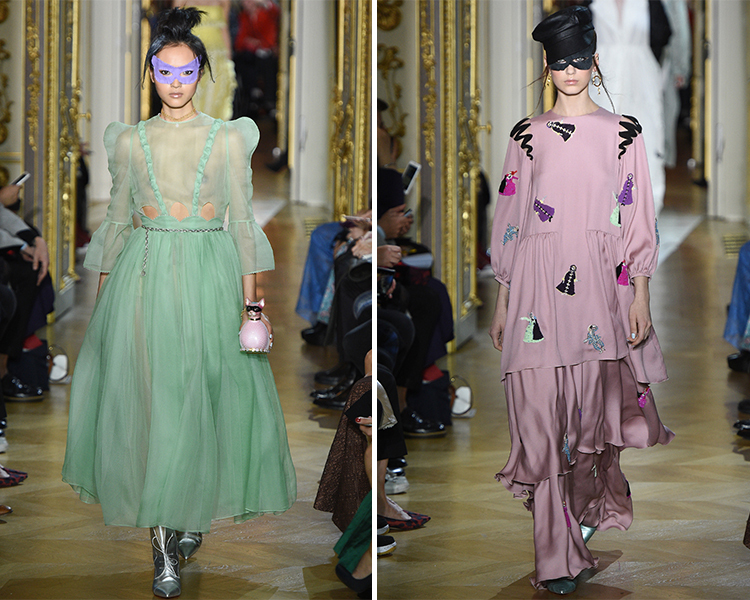 Also, the occasional masks made me think of an amazing idea: couture-wearing crimefighters. 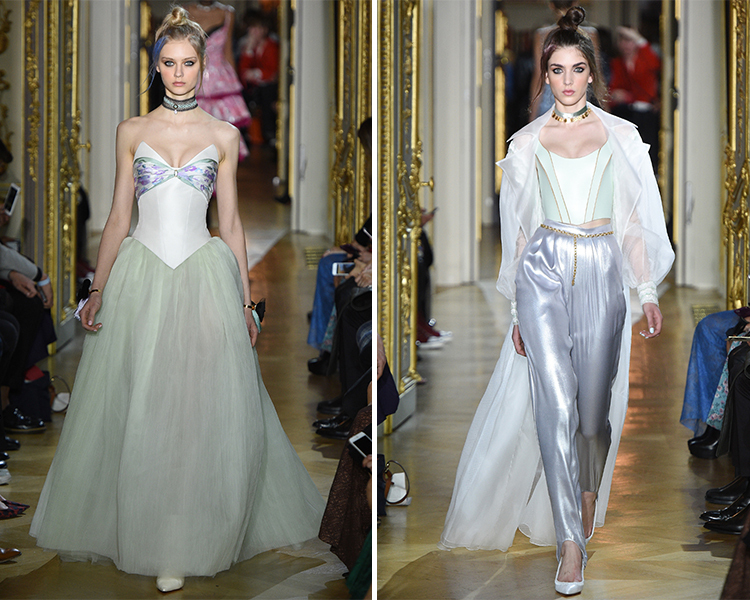 Seriously, The Avengers would be much better if they all wore couture! 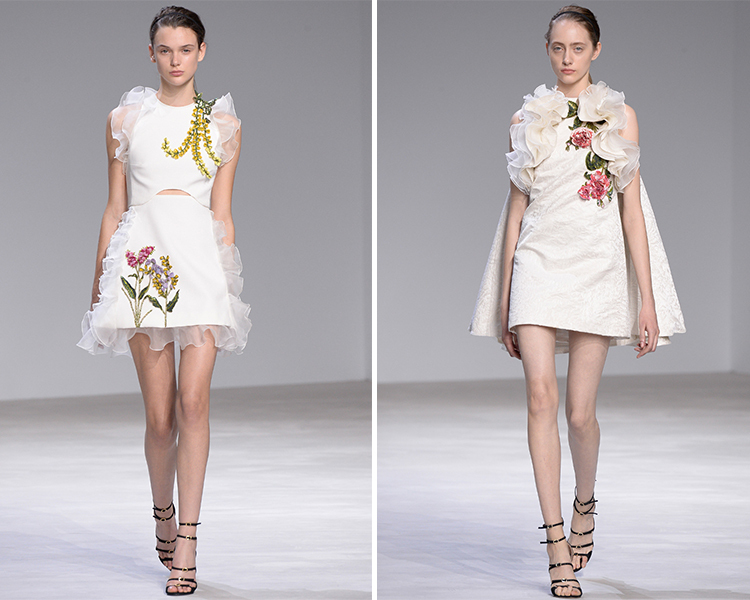 Don't forget to read Part I of my spring 2016 couture reviews here! 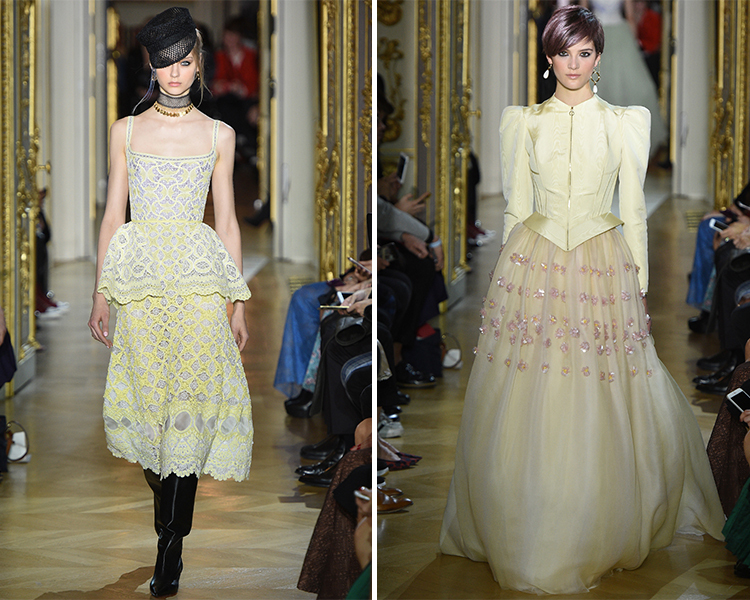 What were your favorite couture collections? Let me know in the comments! How interesting! 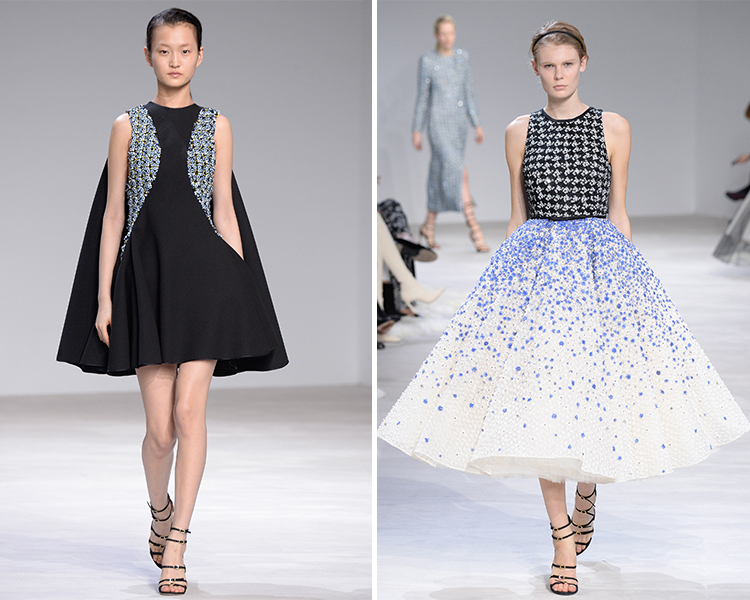 I think my favorite are the first few from Valli, with the unique little cutout in the very first one especially. Lovely photos! Stunning looks! Thanks for sharing.